Q1: Select a passage from the sources that help to explain how doctors developed ideas on how to treat their patients. A1: Source 5 provides information on how doctors developed ideas on how to treat their patients. Guy de Chauliac identifies two main ways of discovering this information: medical books and dissecting dead bodies. Q2: Study sources from this unit that provide information on phlebotomy (blood-letting) and trephination (brain surgery). Explain how these treatments worked. A2: Sources 2 and 6 both provide information on phlebotomy. These sources illustrate that people in the 14th century believed that phlebotomy enabled the doctor to remove bad blood from a sick person. Source 2 claims that phlebotomy could cure a whole range of different problems. Source 7 provides information on trephination. The treatment was used on people suffering from very bad headaches. It was believed that these headaches were often caused by an infection that had created harmful substances within the skull. A round hole was drilled through the top of the skull to allow the pus to escape from the surface of the brain. The hole had to be fairly large (about an inch wide) so that the pus had plenty of opportunity to escape before the wound healed over. Surprising as it may seem, there is evidence to suggest that this operation was sometimes successful in relieving people's headaches. Q3: What were the symptoms of leprosy? Why do historians believe source 1 shows a man suffering from leprosy? A3: Symptoms of leprosy included extremities and facial features slowly rotting away. The face of the victim eventually became terribly disfigured. The face of the figure in source 1 shows the man is ill. The fact he is carrying a bell suggests he is suffering from leprosy. Q4: Select information from the sources to explain why the standard of public health in the 14th century was so poor. A4: In the 14th century people did many things that posed a threat to the health of others. This included dumping rubbish in the rivers and the streets (sources 8 and 10). Streets were rarely cleaned or repaired (source 12). There was also few restrictions on tradesmen selling contaminated food. Poor living conditions also had an influence on health. As the artist who produced source 11 points out, children were particularly vulnerable to poor living conditions. Q5: In 1159 John of Salisbury commented: "We (scholars) are like dwarfs sitting on the shoulders of giants. We see more, and things that are more distant, than they did, not because our sight is superior or because we are taller than they, but because they raise us up, and by their great stature add to ours." Use the example of the growth in medical knowledge during the Middle Ages to explain what he meant by this statement. A5: The point the writer was making was that each generation builds on the information that has been obtained from the past. That is why it is so important to record and preserve knowledge. After the Black Death doctors realised that it was necessary to build up a body of knowledge about the disease. Doctors from different countries exchanged ideas on the possible causes of the Black Death. They also exchanged information on the best way to treat the disease. 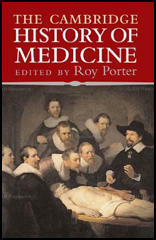 Medical books published in other countries were translated into English. So also were medical books that had been written by Greeks and Romans from the ancient world. By studying all this information, it was possible to "see more and further" than doctors from the past. In doing so, doctors were able to come up with better ideas on how to treat their patients. A good example of this was the development of good hospitals.